‘It isn’t always easy for families to relate, but good conversation can play a part in building a strong connection between generations. 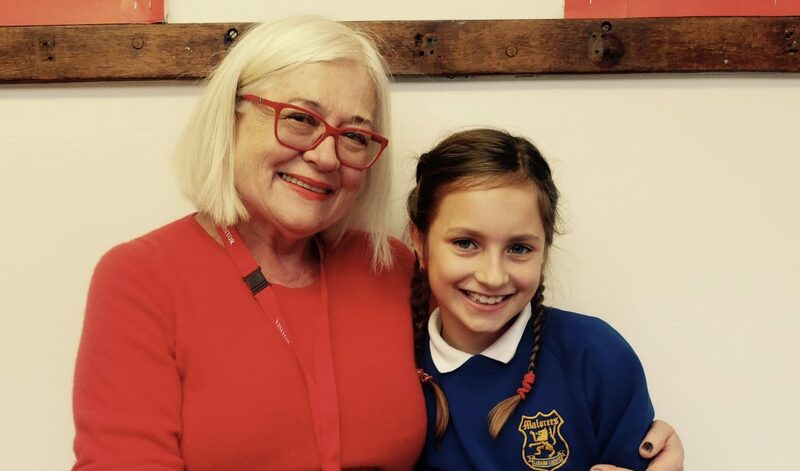 It has been a tumultuous few days politically speaking, but on the upside, the three reception classes at Salusbury Primary School in London’s NW6 have had a very productive week sharing stories from, about and even, in some cases, with the help of their grandparents. So, Salusbury School is a winner in my eyes. I was lucky enough to witness a lovely grandmother telling a class of 30 wide-eyed, suddenly less wriggly 5 year-olds about how her childhood had been very different from that of her listeners and how she always loved music, whilst she casually produced a few ‘objects from the past’ out of her bag, conjuring up a Mary Poppins moment. There were a black-and-white photograph, a big old, wooden radio and a record, yes, a gramophone record, which led one of the children to shout in excitement, ‘A giant CD!’ as he was (ironically) probably thinking that it reminded him of those strange smaller, plastic discs that you still see lying around around in a few households called cd’s. The children were hooked and in a quick, elegant arc our storyteller professed how music and singing, in particular, had helped her through hard times and has become a source of pride as she now sings in a well-known choir, performing on TV and radio. To prove it, she chose a clip of the choir doing a cover of a well known pop song on YouTube for the kids to see. And there it was-all tying together in one short moment: the children accessing the past, the grandmother being the transmitter and bridging almost a century’s worth of technological advancement and change, all wrapped in a simple story full of humanity. Watching and listening from the sidelines were the parents, teachers and myself, marvelling at past, present and future. I am so glad I was there and look forward to reading all the other stories.